Those who have spent time in idyllic Cape Cod, Massachusetts, know that it is one of America’s most beautiful summer destinations. What most people don’t know is that during the winter months, after the 500,000 summer folks depart, year-round residents of “The Cape” struggle with addiction. In fact, residents find it much easier to resist the drug cravings in the summer mainly owing to the people’s ability to find steady employment and social engagement, The Guardian reports. Once the colder months arrive, options disappear and maintaining a program for recovery become even more of a challenge. Many people living with mental illness find the summertime less difficult, including those living with the disease of addiction. There are at least three reasons why staying clean and sober in the summer is easier: warm weather provides more significant opportunity to keep busy, there are more employment opportunities, and people are often better able to seek treatment during the summer. In places where the economy is seasonal, one’s options diminish come winter. A large number of people head to the southern coast of California because the weather is pleasant year-round, there are scores of treatment centers and sober living homes, and employment opportunities abound. 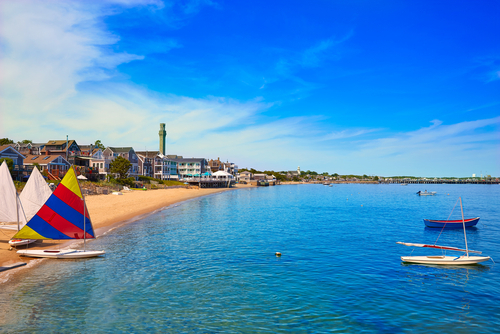 We can't say the same for Cape Cod, the difference being the long winter that hits the cape each year. Cold weather and few addiction recovery resources for women is likely one of the factors that led to Massachusetts becoming one of the top 10 states in the US with the highest rate of opioid addiction. Many women get sober in jail and prison, according to the article. If such people receive parole during the winter, many are unable to stay sober for the reasons pointed to above. Melissa Peace moved to Cape Cod in 2010 after her release from jail; while she has managed to keep clean with the help of the program, she says that she has a front row seat to the opioid epidemic. Please contact Hope By The Sea to learn more about how we can help you or a loved one recover from opioid use disorder. Southern California is an ideal location to begin the process of recovery and maintain a program of lasting progress.